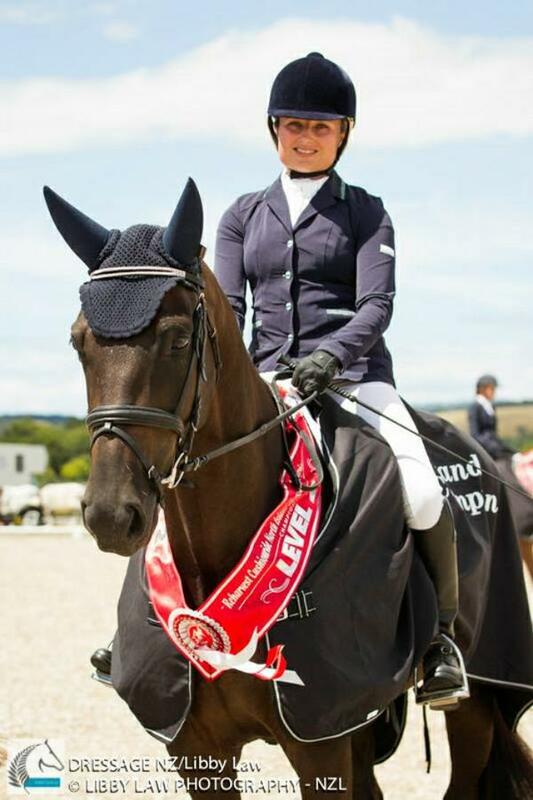 Charmian Pearson White is a very talented young dressage rider who lives in the North Island of New Zealand. 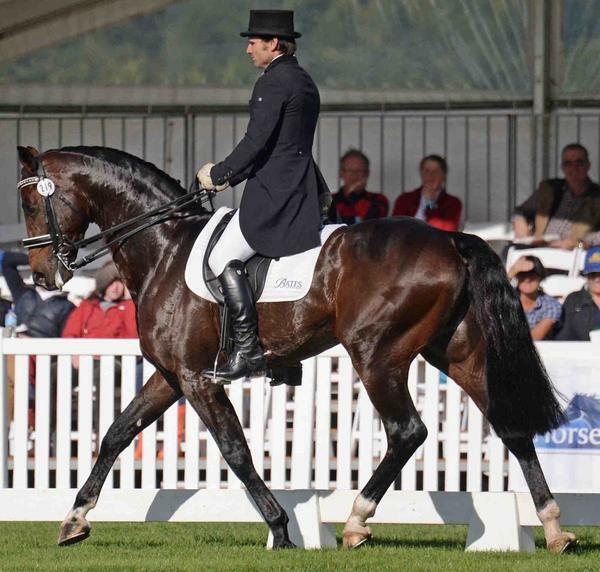 Charmaine purchased Wimborne Conniston from Wimborne Park Stud as an unbroken 2 year old after coming to Australia on a horse shopping trip to find her next Grand Prix dressage horse. Charmaine talks a bit to us about her journey with Conniston. What was it that attracted you to buy Conniston? In 2011 I sold my Grand Prix dressage mare and went looking for a young quality horse to replace her. We viewed several horses in NZ but couldn't find anything that ticked all the boxes. I saw online there were quite a few young horses for sale in the Sydney area so we booked a trip over, hired a little car and went shopping. I was ideally looking for something broken in and underway but the prices were horrendous for anything that was of good enough quality. Conniston was one of the last horses we looked at. He was a very eye catching black horse and I was impressed with his movement. He had a very balanced canter and flash trot with active hocks (which is vital for dressage). My last dressage horse was very long in the back so I was instructed to find something more compact for the collected work - which he was. Tell us about your first few years with Conniston. As a young horse I decided to take Conniston out as many shows and quiet local dressage days that I could to get him used to the atmosphere at shows and travelling. He had a lot of success at these shows winning Champion Youngstock at several shows and then winning 4 out 5 suitability classes at the Easter Show in his first season out. What have been your highlights with Conniston so far? 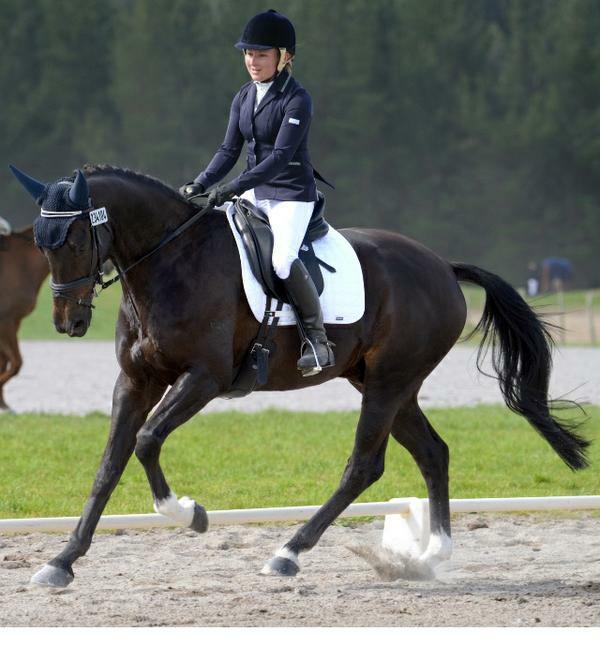 In 2014, Conniston won the North Island Dressage Championships at Level 2 (Novice), then this year Conniston won Northland Regional Dressage Champion at Level 4 (Medium) as well as placing 3rd overall in the World Dressage Challenge. He also placed in the showing classes at HOTY this year. Overall, he has had a very consistent year regularly scoring over 70% in dressage at the local shows. What are you future plans and goals with Conniston? This season we will be competing at Level 5 (Advanced ) and next year we will move up to Prix St George. There are 5 regional championships we are aiming to attend starting in October and then we will finish with the Horse of the Year Show in March. The ongoing goal is to achieve 70%+ scores and eventually be competitive at Grand Prix. What do you see as Conniston's best qualities? It would have to be his athleticism and quality of paces. His canter and trot are both good but I am particularly enjoying his trot at the moment. He seems to have found another gear recently and is moving with a lot more impulsion and suspension. His extended trots are becoming a lot more extravagant and balanced as he gets stronger. He has scored quite a few 8's for his movement recently. Conniston also has a good natural ability to collect and I am confident he will passage. We will start on some half steps soon and I expect that he will have good canter pirouettes in a year or so. I am optimistic that he will be capable of the Grand Prix work. You were lucky enough to have some lessons with Olympic Gold Medalist Charlotte Dujardin when she visited New Zealand last year including having one of your lessons featured in a magazine article . What was the biggest tip you learnt from your lessons with Charlotte? The lessons were all great. There are no magic tips unfortunately. She makes you work really hard and is a perfectionist so you repeat every movement until you get it right. She wanted Conniston to use his full athletic ability more by having him going really forward and uphill in all his work.